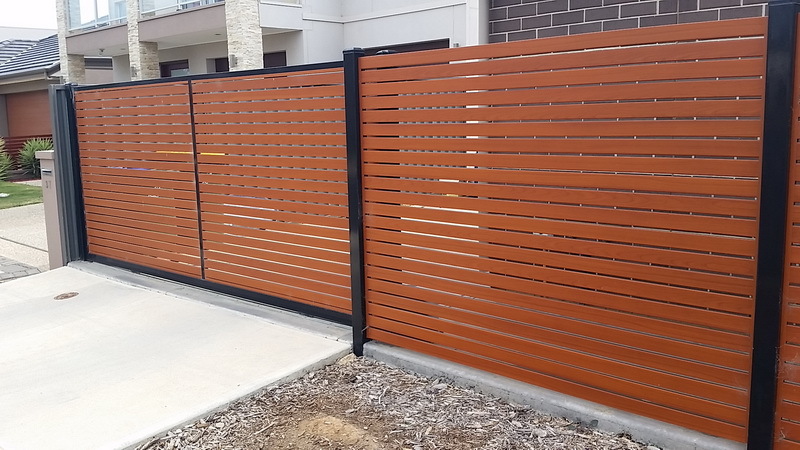 Aluminium Slat Fencing is quickly becoming Australia's leading choice when it comes to a modern 'screen' appearance. 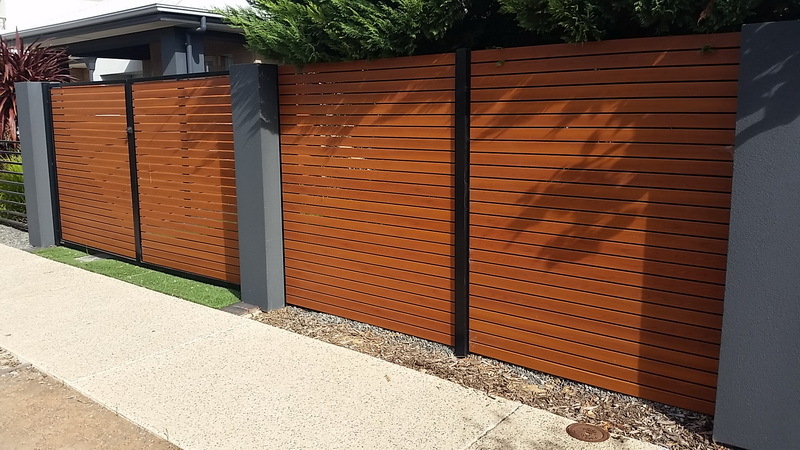 Not only is our marine grade aluminium super strong, but it's powder coated finish ensures it will look great for many years to come. 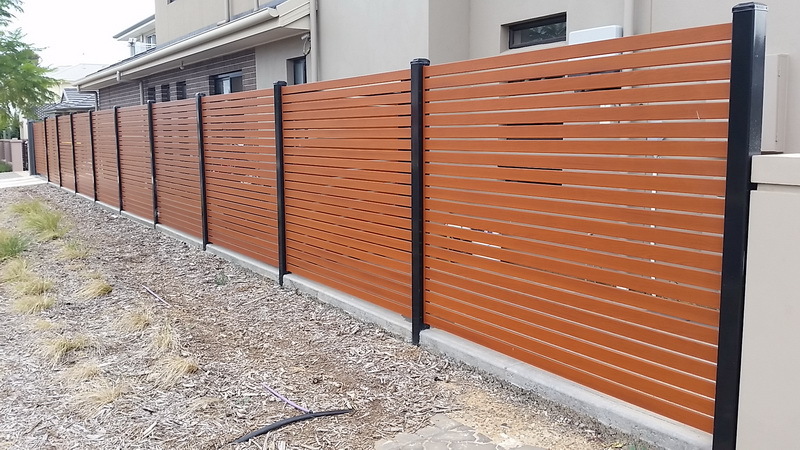 Aluminium Slat Fencing incorporates a concealed fixing systems that hides rivets and screws and also comes with a 5 year warranty. 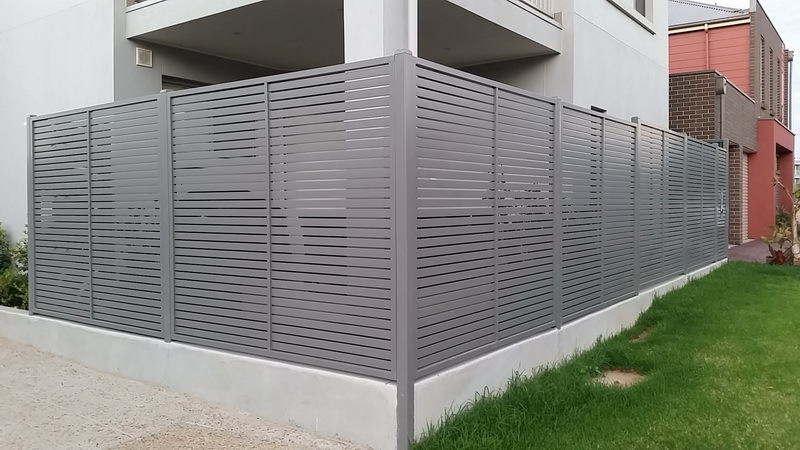 The aluminium blades do not warp, crack or splinter. 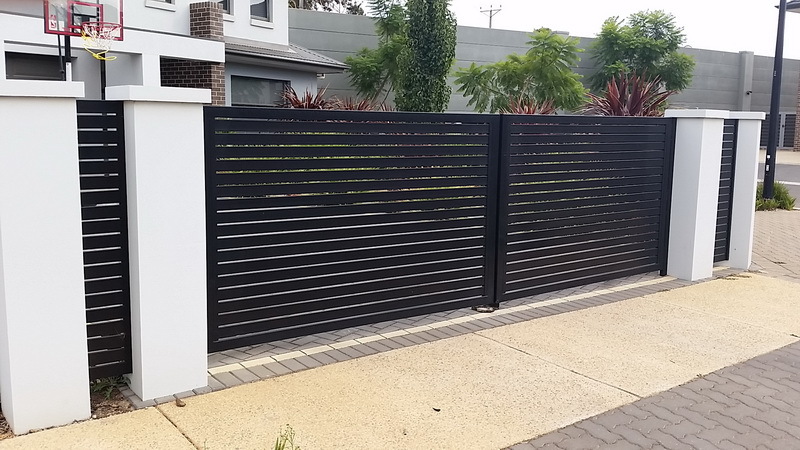 They are made from strong, long lasting aluminium and can be spaced between 9mm and 20mm apart. 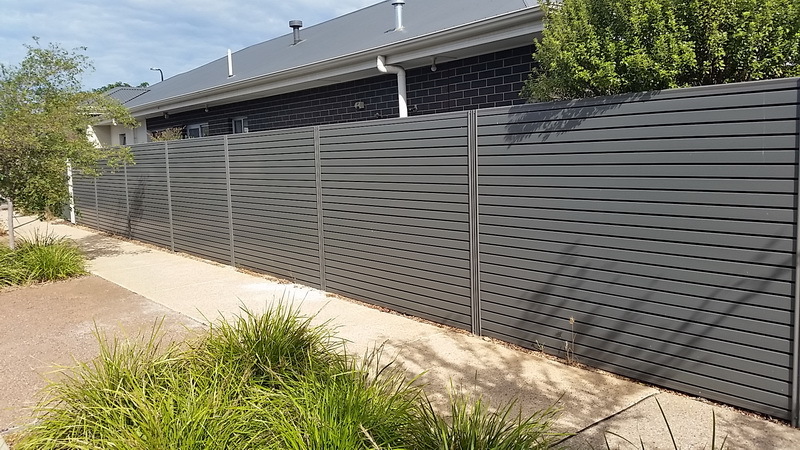 A key benefit of aluminum slat fencing is that it is virtually maintenance free, apart from the occasional wash down, you will not have to re-stain the slats every 12 months like traditional timber. Looks great and will last the test of time. 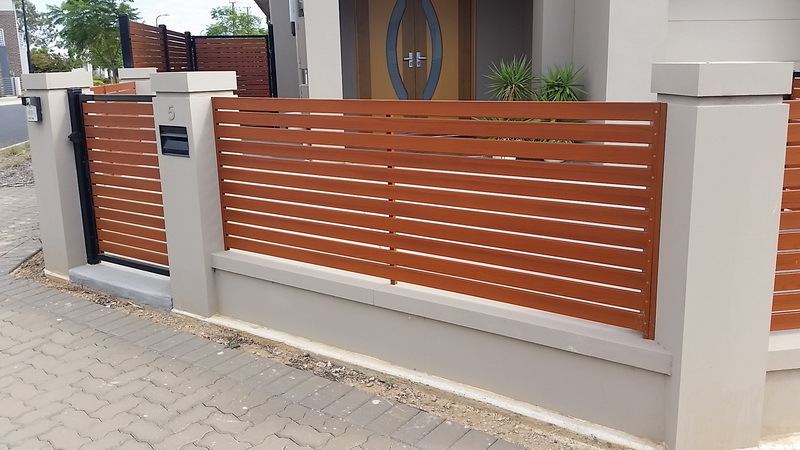 We are also able to manufacturer sliding and swinging gates to match your fencing. If you have any questions please call us today.